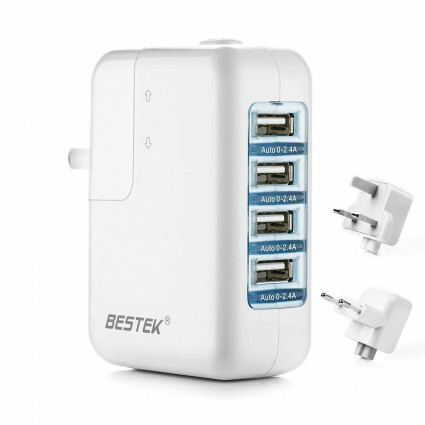 BESTEK travel adapter with multi-port charging ports can allow you to charge multi devices simultaneously and can adjust its most charging speed automatically to charge your devices fastest. It is a nice helper to keep your life powerful. Standard 100~240V USB charger and dual voltage along with 4 interchangeable plug adapters (US/UK/AU/EU Plug) which support worldwide power sockets allow you to charge multi devices with AC port or USB port in any country. Built-in 4 USB ports with total 5.2A max output and max 2.4A each port for charging, you can charge 4 devices at the same time without disturbing each other at the fastest speed. Adopted advanced IC technology, all the 4 USB ports can automatically detects and deliver the optimal charging current for connected devices. Included two LED indicator lights (Red/Green) can let you know the charging status of your devices: plugged in and charging, fully charged or idle. 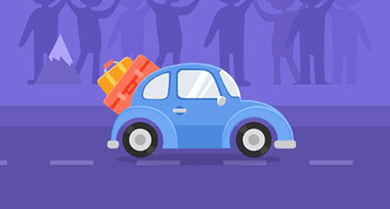 Made of fire-proof material and built-in multiple safety systems, your devices can be well protected against over-current, short-circuit and over-temperature, over-charging and over-heating. The charger is small sized and ultra-light charger (6.9 x 5.5 x 2.7 inches, 1 pounds) and the power cord is detachable. It is portable and convenient for you to carry on by travel bag or purse.